The EU is not a miraculous solution to Ukraine’s challenges, but a national development strategy. This was the key message delivered by the head of the EU Delegation to Ukraine, Ambassador Jan Tombiński, at a meeting with students in Odessa on October 17. “The European Union is not a miraculous solution; it is not something that will allow you to have a better life tomorrow. 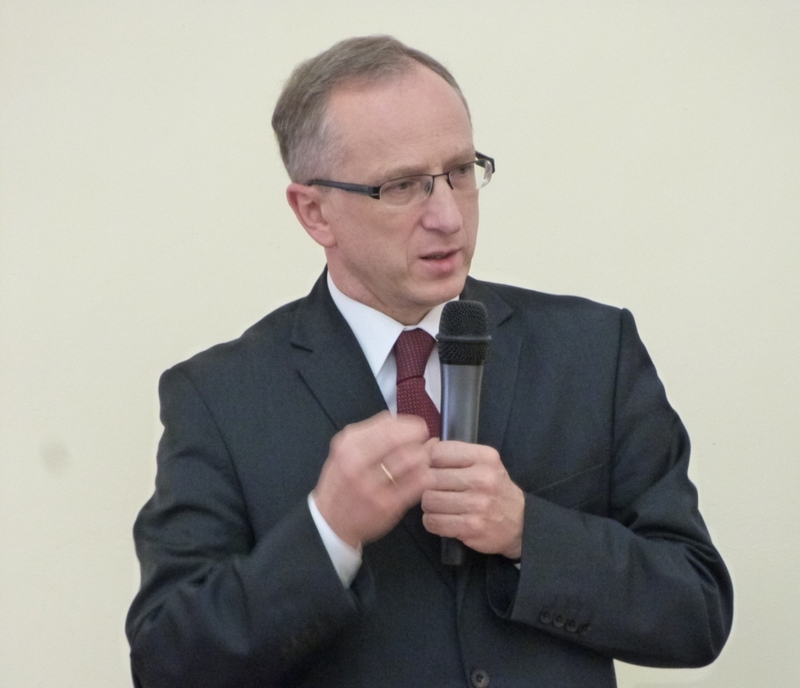 It is a national development strategy, enabling every citizen to develop his or her potential and pursue his or her work.” These were the key messages conveyed by the head of the EU Delegation to Ukraine, Ambassador Jan Tombiński, on October 17 during his meeting with students at the Odessa Public Administration Institute. The meeting was part of a project called “The idea of Europe,” which is launched by the 1st December Initiative, a Ukrainian civil society movement. 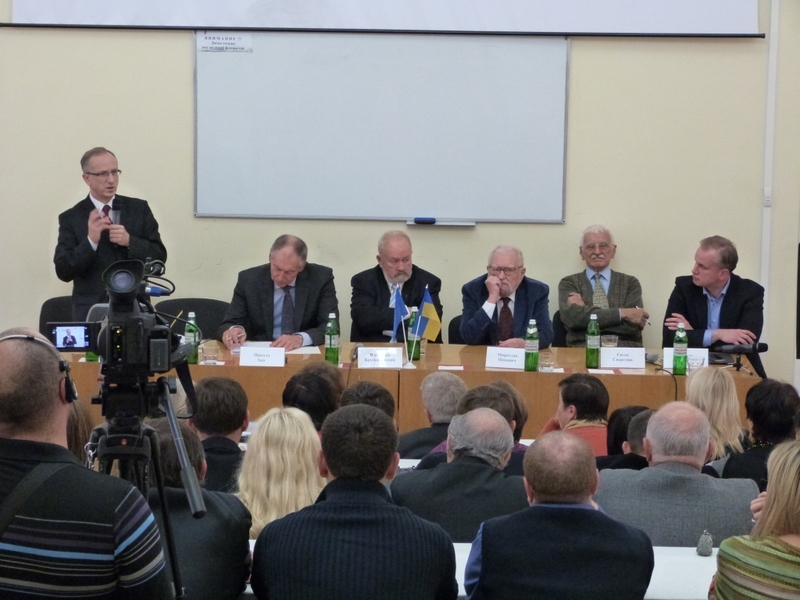 Tombiński added that Ukraine has huge potential and more natural resources than nearly any country in Europe. “Ukraine has many of the preconditions for success, including agricultural production, fossil fuels and access to the sea,” he says. However, Ukraine still falls short of taking full advantage of these benefits. The country’s average life expectancy is relatively low, and Ukraine’s GDP, which was equal to that of Poland in the early 1990s, is now less than have of the Polish economy, says Tombiński. Viacheslav Briukhovetskyi, the current leader of the 1st December Initiative and honourable president of the Kyiv-Mohyla Academy, adds that he had an opportunity to watch Poland’s progress with his own eyes. “I saw the strikes; I saw tractors in Warsaw that paralyzed public transportation. The process will not be easy for us. It will not mean that if we sign the Agreement tomorrow, everything will go smoothly the next day. We will have to work hard to achieve our goals,” he says. Ambassador Tombiński notes that Ukraine will have assistance from the EU through this difficult process. Kyiv can also draw on the experience of 500 million people from 28 countries in the EU in making this transformation, he says. The speed of Ukraine’s EU integration now will depend on the speed with which the Ukrainian government and the parliament pass the necessary legislation. A referendum will not be necessary in order to enact the Association Agreement since the document “doesn’t say anything that would change Ukraine’s sovereignty,” explains Tombiński. Speaking about the Yulia Tymoshenko case, Tombiński made reference to the mission of European Parliament envoys Pat Cox and Aleksander Kwasniewski. “The Cox-Kwasniewski mission, which will work until mid-November, has as a mandate to find a solution to the Tymoshenko case, which would correspond to the commitments that Ukraine has made,” he says. The Ambassador also expressed concern over the fact that in Ukraine a court can deprive an MP of his or her mandate. “Not a specific political group, but democratic principles as such are at stake here,” he says. According to accepted principles of democratic governance, “court decisions cannot change the balance of power in the parliament,” as this could deprive some citizens of their representative in the national legislative body. Tombiński also reminded that democratic principles, along with rule of law and fundamental freedoms, form the basis of the rules according to which Ukraine strives to operate in the future.